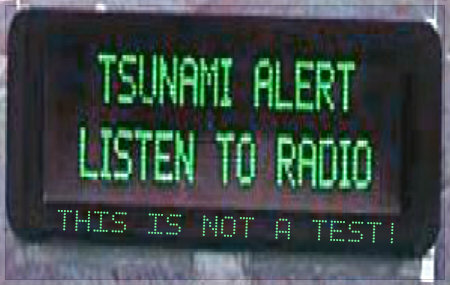 The legendary state of North Dakota receives its first ever Tsunami Warning. 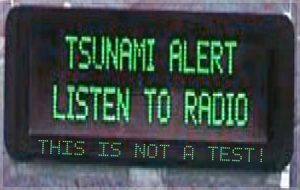 Bismarck, ND – Even though it did seem a bit odd at the time, a Tsunami Warning was issued for the entire state of North Dakota. Most people who tuned into the radio only heard some country music or a night-time discussion about how aliens have taken over the White House. About 28 minutes after the Tsunami Warning was issued, it was then cancelled, which was a huge relief to Lester Schnopgaard and the entire state of North Dakota.